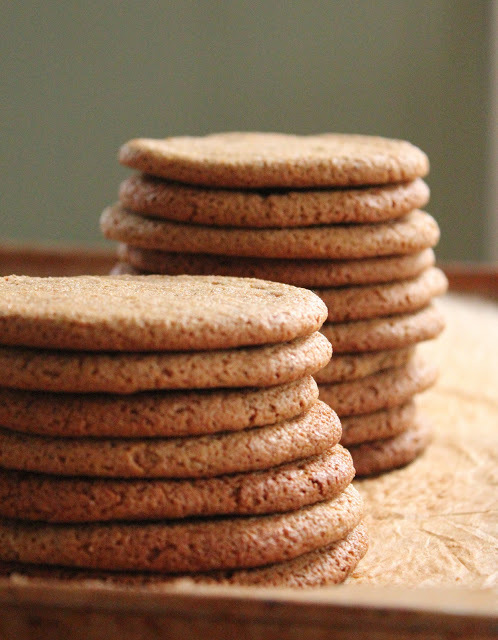 Another thing I love about this cookie recipe is the fact that I managed to make it a little bit healthier than the usual ginger molasses cookie recipe……..and what a success my recipe was!! I figured I make just one batch and see how they turn out. To my surprise, extremely good so next time around I will double the batch since they are almost gone. 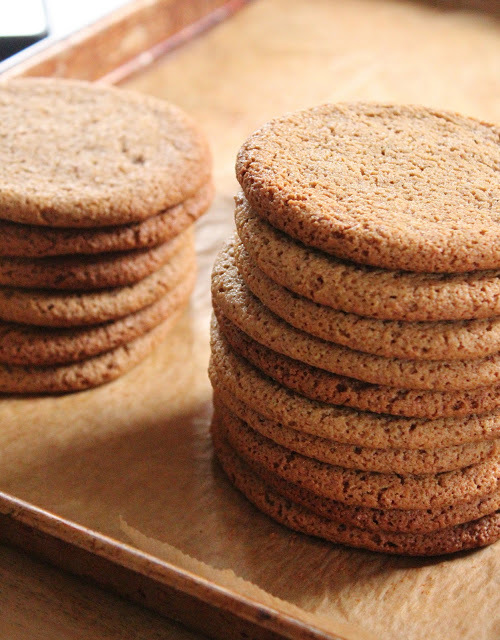 I truly hope you try this recipe because by far these are the best healthy ginger molasses cookies I have ever tried. By the way I got about 20 good size cookies. On the left picture you can appreciate the cookies just before placing in the oven. I did pat them down with my finger tips but you can use whatever method you may like. The right picture depicts the cookies cooling down after baking. ……..and the final product……. Just superb!! 3/4 cup unrefined sugar. I will use 1/2 cup next time. 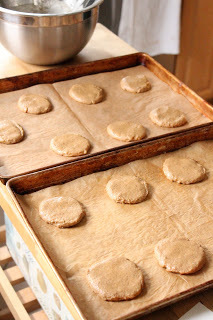 Preheat the oven to 350 degrees F. Line 2 sheet pans with parchment paper. In a mixing bowl beat the sugar, oil, egg and molasses until combined. Add flour, baking soda, cinnamon, cloves, nutmeg, and ginger, and combine the mixture with a rubber spatula. Scoop the dough with 2 spoons onto the baking sheets making sure to leave some room as they will expand during baking. Flatten them lightly with your fingers. Bake for 10-12 minutes. 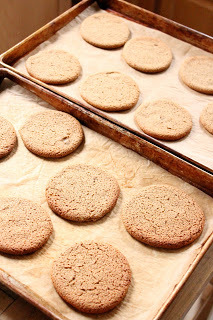 Let the cookies cool on the sheets for 2-3 minutes and transfer them to wire racks to cool. Note: If you use the 2 cups of whole wheat pastry flour in place of the oat flour you will have to roll out the dough between plastic wrap to 1/4 inch thickness. You will also have to add and extra 2 Tbsp of olive oil to the batter.